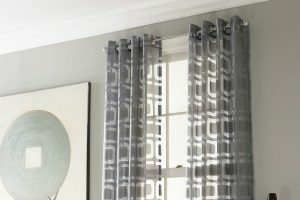 Textile curtains have served as the most commonly used window covering throughout the years, depending on the needs, either slightly or fully blocking the light (BLACK-OUT, which has become a popular choice for bedrooms in recent years). The selection of fabrics is extensive with a suitable material and design available for any fantasy and interior. Wide selection of fire-resistant (TREVIRA CS) fabrics for public buildings . 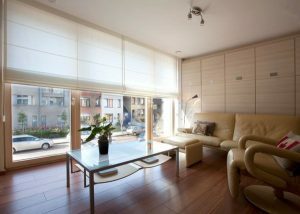 A minimalist and modern interior design element, which can be made of various fabrics. 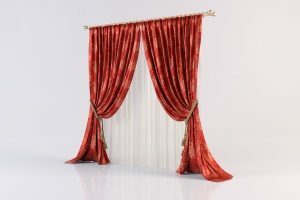 Roman blinds, panel curtains, classic curtains. 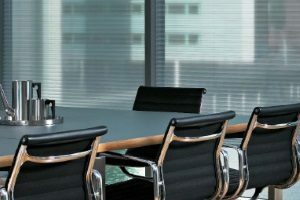 We also sell tailor-made roller blinds and pleated blinds. Practical, functional and easy to combine with textile curtains. The selection of materials ranges from those slightly shading the sun to complete black-out. Many different colours. 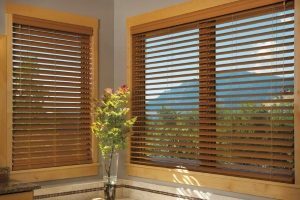 A pleated blind is a window dressing, which can be opened and closed by folding. Can be opened in the up-down or down-up direction as needed. Materials of many different colours and shades. Wide selection of fire-resistant (TREVIRA CS) fabrics for public buildings.